Rich Horton is a prolific reader, reviewer, and columnist for various publications. He is also the editor of various Year's Best anthologies published by Prime Books. Upcoming anthologies for this year include Science Fiction: The Best of the Year 2008 Edition, Fantasy: The Best of the Year 2008 Edition, and Space Opera 2007 Edition. He also contributes to publications like Locus, Black Gate and Fantasy. Hi! Thanks for doing the interview. I enjoyed your anthologies from Prime Books. How'd you get the job? Did you ever imagine yourself being an editor? To answer the second question first, the answer is yes, actually. Indeed, as a teenager I even invented an SF magazine (to be called, I recall, Quasar) that I dreamed of editing as an adult. (I suppose I might also note that I was a co-editor of my high school's literary magazine in 1977.) In the late '90s, when I began reviewing heavily for Tangent and other sites, and reading enough of the short fiction published each year to feel entitled somehow, I started making lists of my favorite stories each year, and I really felt that these lists made prospective books as good as the Best of the Year books being published every year. Which in a way seems almost obvious -- OF COURSE I can pick my favorite stories every year better than anyone else! The trick is having enough other people agree! For several years, then, I had been producing a "Virtual Best of the Year", going so far as to organize them into actual Tables of Contents for a Gardner Dozois-sized book, and also a Terry Carr-sized book (i.e. much shorter, to give me a hint as to how hard it might have been for Carr to cut so many good stories from his lists). What anthologies are you working on right now or will be released soon? Can you elaborate on them? The 2008 editions of Science Fiction: The Best of the Year; and Fantasy: The Best of the Year are in final preparation stages -- all the stories have been chosen, permissions acquired, introduction written, etc. I have just put together a prospective Table of Contents for the second Space Opera book, a collection of the best Space Operatic stories from 2007 -- now we need to contact the authors for permissions. The first Space Opera anthology, with stories from 2006, should be out any second now, after some months of delay. 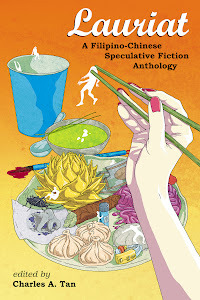 What's your criteria in choosing which stories to acquire for anthologies? Or rather what do you look for in a story? At first blush all I do, really, is pick the stories that hit me the hardest -- or more simply, that I liked the best. But in actually putting together the anthologies other considerations also come into play: balance being the main one, which means trying to have a mix of tones, of subgenres, of authors (that is, primarily, not duplicating authors in the same book), of lengths, and of sources (i.e. I try not to take TOO many stories from the same book or magazine). As to what do I look for in a story ... that can be hard to analyze. I am a fan of good prose, for one thing. And I crave originality -- I think this is something that becomes more important (even, possibly, too important) the more you read. I like color -- exotic characters, settings, structures. Have you ever thought of editing an anthology of original stories? How about writing your own stories or novels? I have definitely thought about editing original anthologies. Indeed, I have had very preliminary discussions with my editor at Prime (Sean Wallace) about a prospective original anthology. Not sure yet how far that might go -- but, watch this space, I guess. As for writing my own fiction, that is still a dream, but one rather on the back burner now. I wrote a fair amount of fiction and poetry a couple of decades ago, most of which rather makes me cringe to reread. Now I still write down story ideas in a notebook, but I haven't finished anything in quite a while. Anyone expressing skepticism at the likelihood of me selling my own fiction is very well justified! Is there a particular genre you favor? Would you be interested in editing anthologies for other genres such as mystery or historical fiction? I like all good writing, but within our field my true preference is for science fiction, and fairly traditional science fiction -- that is to say, exotically set, either in the fairly far future, or on other worlds. But I really do like the rest of the fantastic genre -- except perhaps for horror. I read a lot of horror, and I like the best of it just fine, but I have little patience with the lesser stuff. I am a big fan of historical fiction. Particular favorite writers include Dorothy Dunnett, Patrick O'Brian, and Cecelia Holland. And Georgette Heyer -- who of course is more of a Romance writer. And I also read lots of mysteries -- I tend to concentrate on a single author for a while. Recently I have gone through phases of reading Bill James, Georges Simenon, and Robert Barnard, for example. But I don't quite feel I have the expertise to do anthologies in either genre -- and, really, their doesn't seem to be much of a market for short fiction in the historical area, though there are a fair amount of mystery stories published. Is there any year or era that particularly stands out for you when it comes to genre fiction? Hmmm -- 1953 is famously an Annus Mirabilis for novels ... but the field was so much smaller then. 1974 was the year I discovered the magazines -- that was a great discovery, but I can't say that that was really that great an era for SF. I have particularly fond memories, I suppose, of the mid 80s, when I returned to the field after a few years reading much less. How did you go about establishing a career in writing book reviews and columns? Was it a career you planned? It's not something I really planned at all. Basically, when I started using the internet, in the mid-90s, I started writing notes and reviews of what I was reading. And I thought I did that fairly well. I ran across a copy of Dave Truesdale's seminal short-fiction reviewing magazine, Tangent, and in it I saw a plea for more reviewers. So I sent Dave a sample of the reviews I'd been writing, and he liked what I did enough to send me something to review. As I recall, the first thing I did was a really crappy small press magazine, and I wasn't terribly kind. But that was fine with Dave ... I kept writing for him, and through him I met John O'Neill who was then co-running SF Site, and I started doing reviews for them. And I did some stuff for Mark Kelly at Locus Online, and when Mark stepped down from short fiction reviewing, he put my name forward (with Nick Gevers) as a replacement. It's all kind of happened, in a way. Any advice for aspiring book reviewers or editors? One piece of advice -- one I sometimes fail to remember -- is don't be afraid to say when a story doesn't work. But at the same time, try to understand what the author is trying to do. I find myself sometimes wanting a story to do something completely different to what the author was trying. It's not fair to criticize a story for not being something it wasn't trying to be. As an editor -- or a reviewer -- don't be afraid to like what YOU like. Don't worry if you like something that you don't know if other people will like. I can't tell you how many times I've pushed an obscure story or a weird story that I think might be a controversial choice, and I find that people really end up liking it. Who were the authors that influenced you when you were young? Who are your favorite authors nowadays? Very young, the fantasy writers I imprinted on were C. S. Lewis and George MacDonald -- and Hugh Lofting, of the Dr. Dolittle books. The first SF writers I remember really liking were mostly from the usual suspects: Asimov, Clarke, Heinlein. The writer who perhaps most changed how I read the field was Gene Wolfe. To this day Wolfe remains a favorite. In short fiction, right now, I look forward to Kelly Link's stories most of all, and I also love Robert Reed, Benjamin Rosenbaum, Paul Di Filippo, and -- well, lots more. Michael Chabon has recently become a huge favorite at novel length. And Robert Charles Wilson. Outside the field (besides Chabon) my favorite writers, all dead, are Anthony Powell, Robertson Davies, Kingsley Amis, Vladimir Nabokov, and Jorge Luis Borges. Well, I've mentioned all the ones I can mention above -- new editions of the Best of the Year books, and the Space Opera book. I would like people to take a look at Black Gate, an excellent magazine of adventure fantasy to which I contribute regular articles about SF history. I'm also reviewing a lot for the somewhat more lit-oriented fantasy magazine called simply Fantasy, which has just migrated online.